John McCain’s wife, Cindy, appears in a photo ad with her mouth taped shut and “NOH8” painted on her face. “NOH8” is a gay rights group challenging Proposition 8. 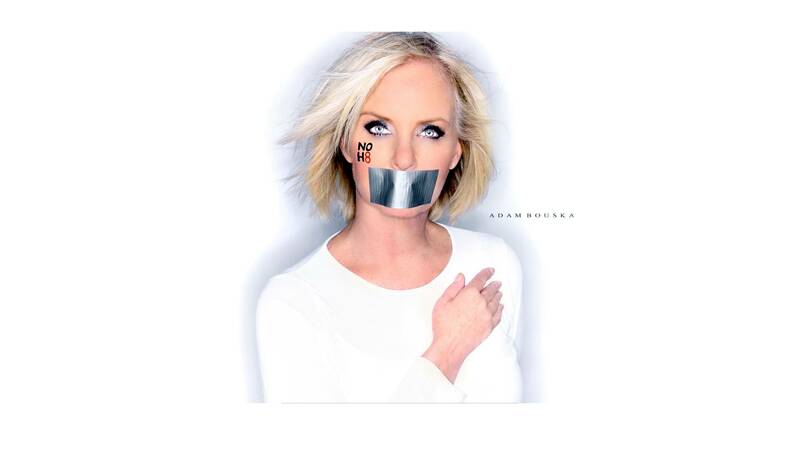 The McCain’s daughter, Meghan, posed for “NOH8” last summer. John McCain says he respects the views of his family members, but remains opposed to gay marriage. What do you think? Email Kyra on her blog!